Have you ever come across this question as a mom? I got this question just this morning, and it really made me think. I honestly believe that college is not the priority, but honing a valuable and marketable skill is. That is what we have seen in our life. My husband’s degree has done nothing for him as it was in “classical studies”. He had to start at the bottom in a random company and prove himself worthy and skilled and was able to rise up because of his initiative and ability to adapt and self-teach. Initiative, persistence, the ability to self-educate, and to do it all with integrity to the glory of God, those are the things they don’t teach you in college. I am teaching my children from home that these are the non-negotiables in life. Some adults graduate from college and have zero life skills and, sadly it seems, even less integrity. We want so much more for our children than just a degree, don’t you? I have already started a business with and for my kids and they are all under 10 years old and they help create and sell the products. 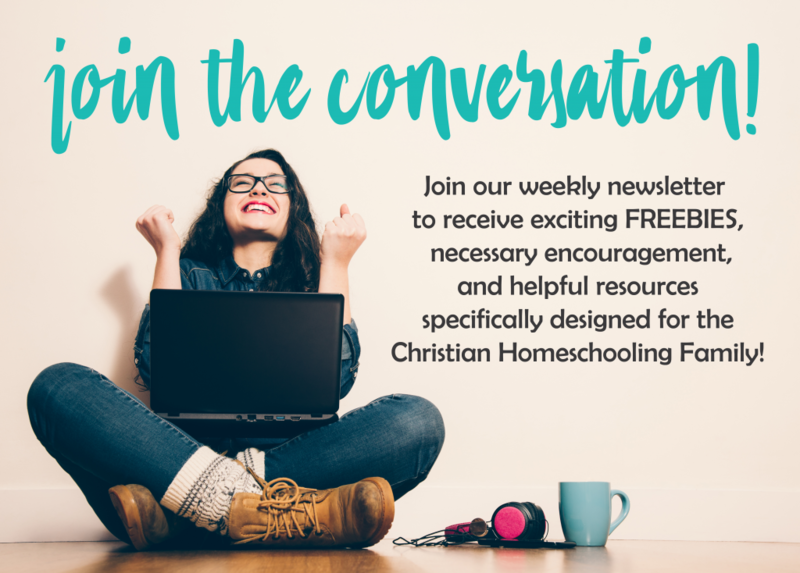 They will know how to sustain themselves, budget their money, manage their time, take care of their customers and all from the integration of life learning into our homeschool day. We will prepare them for college in their home education, but when they do reach the age that it is time to choose to further their education, that decision will be in their hands. My goal is to prepare my child in such a way that by the time they reach that age they will know if pursuing a degree will strengthen their chances of success in their given trade. If they feel going to a university or trade school will help them achieve success then we will fully support and help them pursue that end. I have found that the ability to show my children how to run their own business has been a fantastic educational tool in our homeschool. It teaches basic life skills like time and money management as well as develops important character traits such as work ethic, creativity, initiative, and persistence. If you haven’t started a business with your kids yet, I highly recommend starting one soon! You might be wondering the exact steps I took to begin our business, as well as, trying to think of what kind of business model would work for your family. If you would like to read my top tips for how to start a business with your kids, READ HERE. There are so many things to consider as you take your first steps down this road. I created a FREE Guide to Getting Your Family Business Started that you can download HERE. We began a business in silicone “chew” bead items for babies, mamas, and big girls that we named Big Sisters Boutique. You might have a totally different avenue for your product or service in mind. Maybe your family loves outdoor work so mowing lawns or snow plowing might be a good choice for your family, especially if you have older kids. Does your child love animals? Maybe a grooming or dog walking service in your neighborhood fits the bill. Whether you plan to sell a handmade items online, frequent craft and vendor events in your area to sell your wares, upcycle previously used items, or provide a service that someone needs, your business model of choice can be a huge benefit to your child’s education and character development, as well as, a fun thing in which the whole family can participate. For a full list of jobs for kids, download a copy of our Tiny Entrepreneurs: A Family’s Guide to Getting Started. A priority for parents should be to make their family business fun, encouraging, and a hub of learning. Children should be encouraged to work hard but always in a way that is appropriate for their age, attention span, and skill level. For my girls we are hosting a booth at a local vendor event maybe twice a year or so just to give them the experience. The girls make the beaded items and I am here for quality control and ordering inventory. It is imperative that we remember as parents that this is not slave labor. We aren’t even prioritizing turning a profit. Our desire is to encourage our children to learn for life, to use their creative backbones, work with integrity, to learn from their failures, and to find satisfaction in a job well done. As parents, we provide the tools and we plant the seeds in our children that they need to learn and grow. We trust God with the harvest. Does your child want to own her own business, but you don’t necessarily think she is quite ready yet? Let her try a bakery on for size! Click below and download a FREE Build Your Own Bakery Activity Pack!